"One of the virtues of my having no official business was the ability to browse the aisles in a way our readers browse our stacks. Booksellers know the value of serendipity and discovery well--our work, after all, is to create experiences predicated upon unforeseen and unexpected delights. "The book is not dead. Books need booksellers. As a bookseller, I need patience and courage. Booksellers, like great novelists, become universal by dint of their specificity. 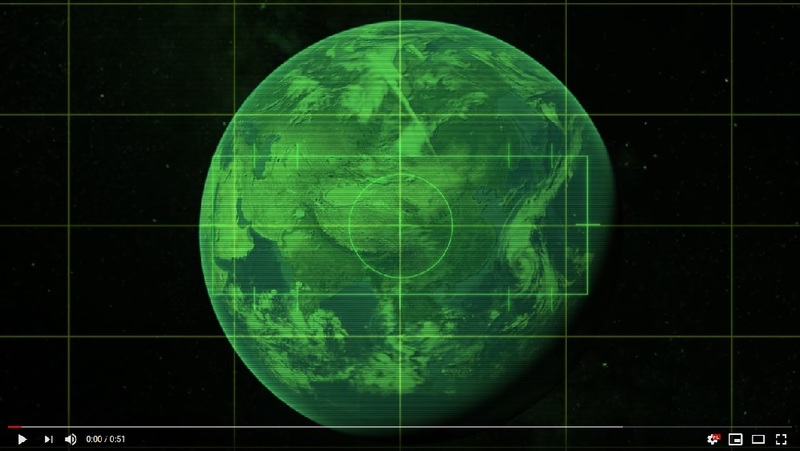 Being decidedly of a particular place is a profound way to be global. And the readers of any place have a need to understand that place through experiences of elsewhere." Net sales at Amazon in the third quarter ended September 30 rose 29%, to $56.6 billion, and net income rose to $2.9 billion, nearly 10 times more than net income of $256 million in the same period a year earlier. Despite the record sales and earnings, Wall Street reacted negatively because revenue growth was less than the expected $57.1 billion. In addition, the company predicted that in the fourth quarter--the holiday period--net sales will be between $66.5 billion and $72.5 billion, a 10%-20% growth range, below analysts' expectations of $73.8 billion and much lower than Amazon's growth rate of 38% in the fourth quarter last year. As a result, in after-hours trading, Amazon shares fell almost 10%, to a little above $1,600 a share. Only a month ago, Amazon stock hit a high of just over $2,000 a share. As in the past several years, AWS, Amazon's cloud-services company provided most of Amazon's profit--with $2.077 billion in operating income on a sales gain of 46%. International sales, which grew "just" 13%, appears to be the major drag on overall sales. 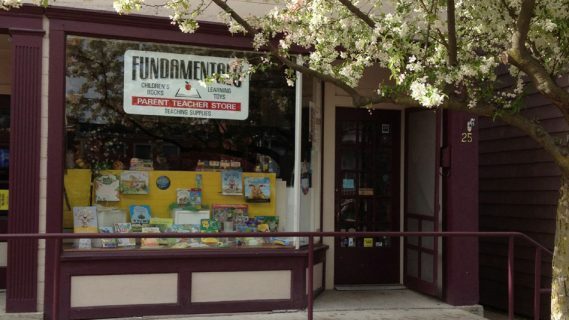 Tami Furlong, owner and founder of Fundamentals: Children's Books, Toys & Games, Delaware, Ohio, is selling the store to Jody and Michael Everett, the Delaware Gazette reported. The sale is effective November 1. Furlong, who founded the store 30 years ago, told the paper that she had decided a few months ago that it was "time to back away" and spend more time with her family. She praised Jody Everett, "a really good customer" who "knew what she wanted and had good taste in books. She knows what's quality. It makes me happy that someone is here who loves quality. I feel really good about it now that I know Jody and Michael are taking over. After talking with them, it's the right decision. This is the right time, these are the right people." Michael Everett said that part of the attraction of buying the store is "to not let another bookstore die and [to] keep the legacy going," as well as "to try and foster the love of reading in young children and to take a larger part and participate more in the community. It's giving us a chance to continue something that has been an institution here for 30 years." The couple has lived in the area for 11 years. The Everetts plan to keep the store layout and inventory, while updating technology. As Furlong observed: "They are bringing this store into the 21st century!" 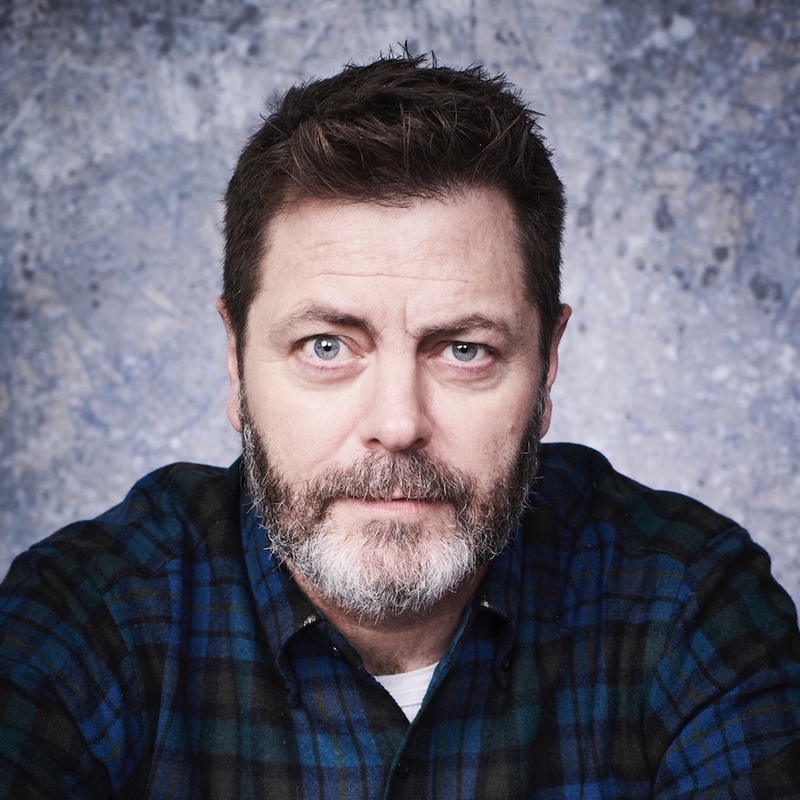 Actor and author Nick Offerman, best known for his role as Ron Swanson on NBC's Parks and Recreation, will host the 69th National Book Awards. Offerman has written several bestselling books, including Paddle Your Own Canoe: One Man's Fundamentals for Delicious Living and The Greatest Love Story Ever Told: An Oral History (co-authored with his wife, Megan Mullally). 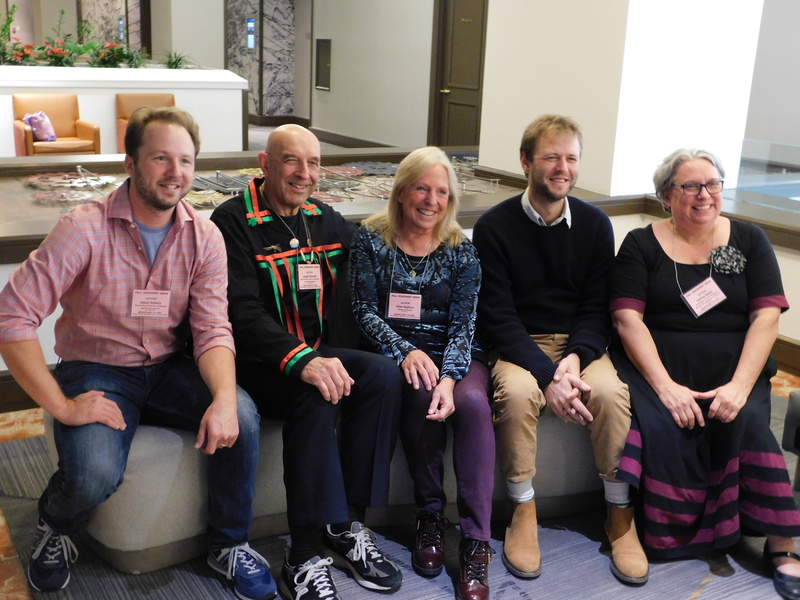 Winners in the Fiction, Nonfiction, Poetry, Translated Literature and Young People's Literature will be announced at the event, and lifetime achievement awards will be presented to author Isabel Allende and Doron Weber of the Alfred P. Sloan Foundation. The benefit dinner, on November 14 at Cipriani Wall Street in New York City, also serves to fund the National Book Foundation's educational and programming work. 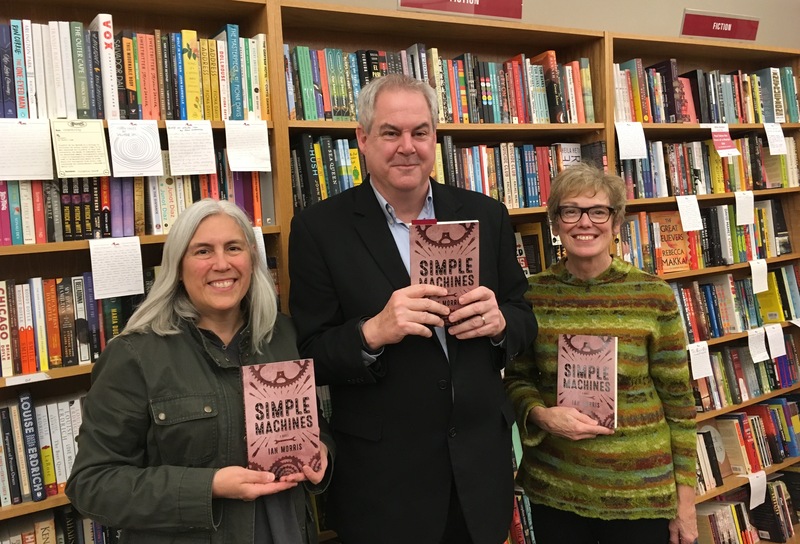 City Lit Books, Chicago, hosted Ian Morris for a reading to celebrate the launch of his new novel, Simple Machines (Gibson House Press). Pictured: (l.-r.) Deborah Robertson, publisher, Gibson House Press; Ian Morris; Teresa Kirschbraun, owner of City Lit Books. "I grew up in the back of beyond country, so we didn't have bookstores," Alyson Hagy, whose book Scribe (Graywolf Press) is the number-one pick on the November Indie Next List, told Bookselling This Week in a recent q&a. "The library was my absolute favorite place to visit. I went to graduate school at the University of Michigan in the early '80s, so the original Borders was in Ann Arbor at the time. I had never seen such a palace of books, new and used, and I had never been around staff who knew fiction and religion and history. It was just incredible and I would go in several times a week. I didn't know what had been missing in my life. 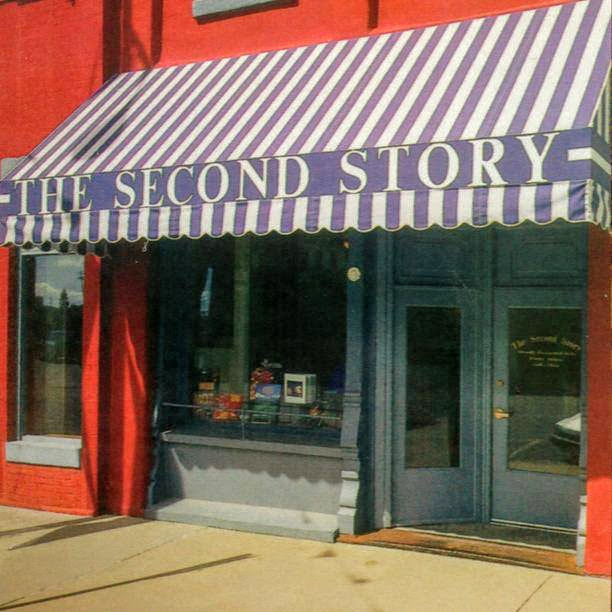 "Here in Laramie, Wyo., we have this really unique, very small store called the Second Story. 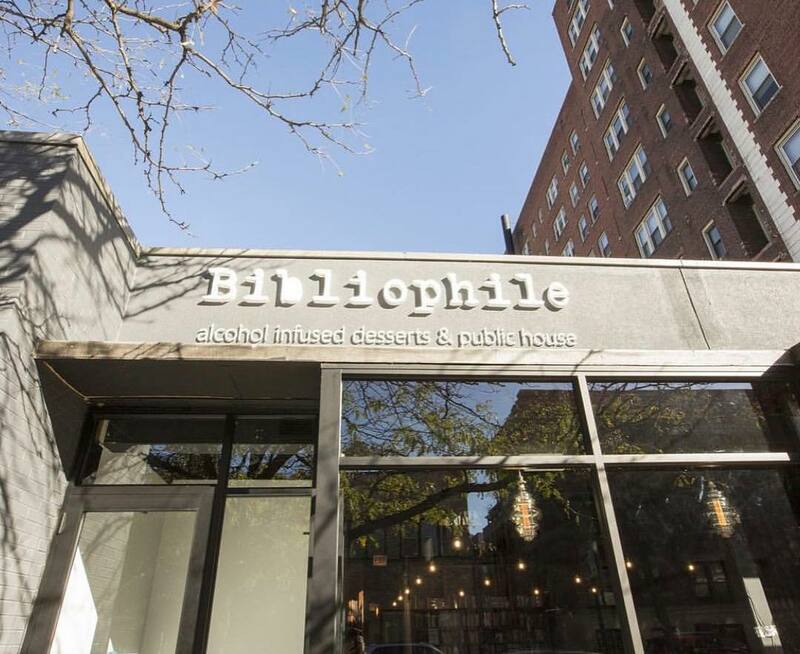 It's located in a former brothel and has been run and managed by a series of very smart, book-loving people who just keep all kinds of literature available. The Second Story has been a different kind of anchor to me. It's so wonderfully idiosyncratic; you never know what you are going to find on the shelves because it is so completely determined by the taste of whoever the manager is or whoever the staff person ordering the books has been. So that's very cool, I think." 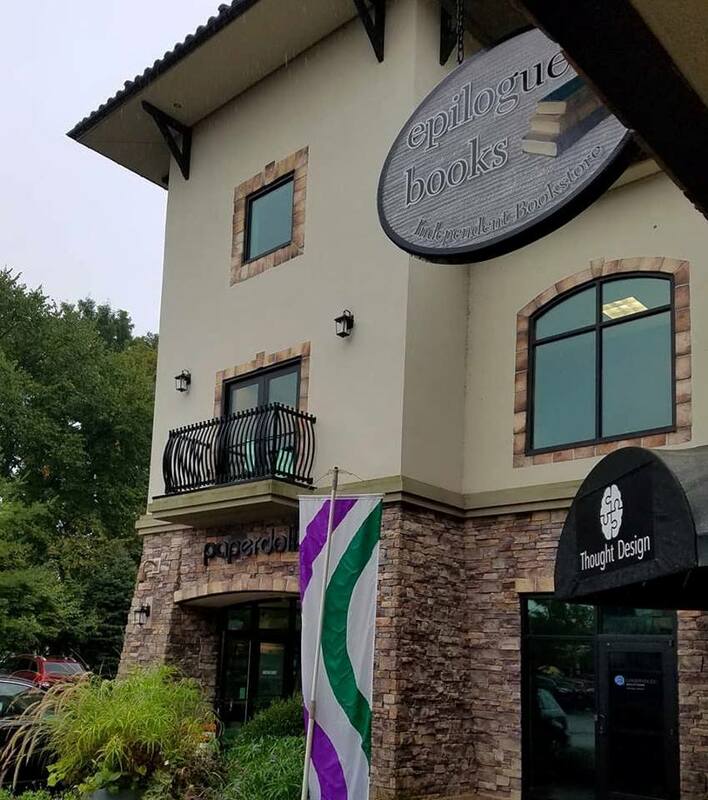 Pat and Valerie Burkholder, co-owners of Epilogue Books in Rockford, Mich., were profiled by the Rockford Squire, which showcased "their love of books, their love of Rockford and how putting the two together was a lifelong dream finally realized." The bookshop opened last July. "Walking into the bookstore, you can see their love of books and the bookstore experience on full display," the Squire wrote, highlighting "an amazing children's area with hand-painted murals on the wall with soft pillows and carpet for kids to curl up on and choose what books they want" and an interior ambiance that makes "you feel instantly comfortable walking in." "At a bookstore you get an experience, you don't just get a book," Pat Burkholder said. "The fact that they each have different tastes in books furthers the help you can get," the Squire noted. "Valerie is more of a fiction fan while Pat likes to read more nonfiction books. The chances are, though, if you have a question on a book, they can help.... There really is nothing like a good book or a good bookstore. 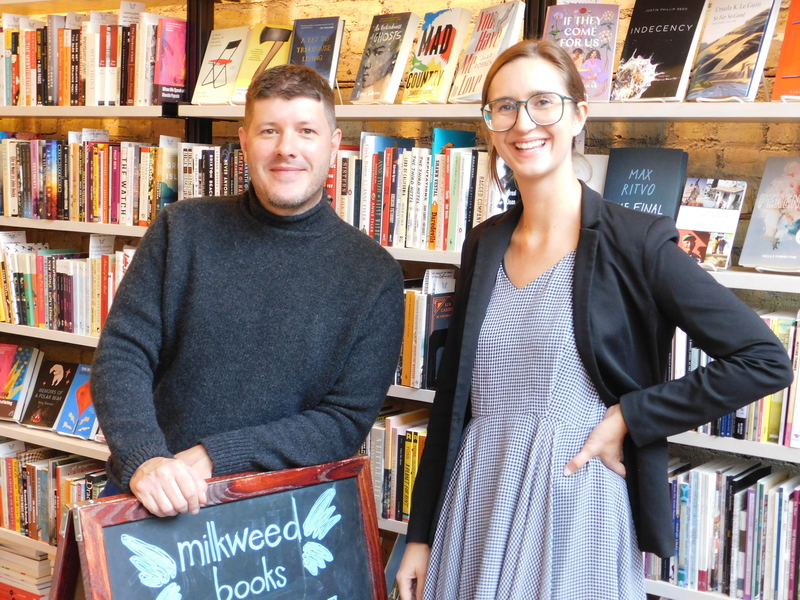 Rockford is now lucky to have a bookstore to call our own." Rosie Mahorter has been promoted to senior publicist at Scribner. Abigail Novak has been promoted to senior publicist at Scribner. Sydney Morris has been promoted to associate publicist at Touchstone. The Last Sword Maker by Brian Nelson (Blackstone Publishing), Book 1 in the Course of Empire series. CNN's New Day: Doris Kearns Goodwin, author of Leadership: In Turbulent Times (Simon & Schuster, $30, 9781476795928). Fresh Air: Anthony DeCurtis, author of Lou Reed: A Life (Back Bay Books, $19.99, 9780316376563). E! News Daily: Ellie Kemper, author of My Squirrel Days (Scribner, $26, 9781501163340). CBS Saturday Morning: Yotam Ottolenghi, author of Ottolenghi Simple: A Cookbook (Ten Speed Press, $35, 9781607749165). Martin Scorsese will direct and Leonardo DiCaprio will star in the film adaptation of David Grann's Killers of the Flower Moon, Deadline reported. Eric Roth wrote the script. Scorsese is producing alongside Imperative Entertainment's Dan Friedkin, Bradley Thomas, Sikelia Productions' Emma Tillinger Koskoff and Appian Way Productions. Imperative "really got on the map with its stunning acquisition of this book," Deadline wrote. "It made a $5 million bid that was millions more than what other suitors were willing to pay back in 2016. Adding the seven-figure sum for Forrest Gump writer Roth to adapt it, and this has been a pricey development process. But when it results in landing Scorsese and DiCaprio, it sounds like money well spent." "When I read David Grann's book, I immediately started seeing it--the people, the settings, the action--and I knew that I had to make it into a movie," said Scorsese. "I'm so excited to be working with Eric Roth and reuniting with Leo DiCaprio to bring this truly unsettling American story to the screen." Stephen King sold the rights to his short story, "Stationary Bike," to students at Blaenau Gwent Film Academy in Wales for $1. IndieWire reported that the students won the bid as part of King's "Dollar Baby" contracts, though which the author "allows film students and aspiring filmmakers to adapt his short stories for the low, low price of just a buck." Originally published in the fifth edition of From the Borderlands in 2003, the story "follows an artist who is told he has dangerously high cholesterol. When he begins cycling to lose weight, he becomes obsessed and begins to hallucinate nightmarish scenarios," IndieWire wrote. "Being given an opportunity to bring one of Stephen King's novels to life is crazy," said 16-year-old Alfie Evans, one of the students who wrote to King directly. Evans will co-write the script along with GCSE drama student Cerys Cliff. Approximately 30 students will work on turning it into a film, which must not be released commercially. King's estate requests DVD copies, so that he can watch the final products. 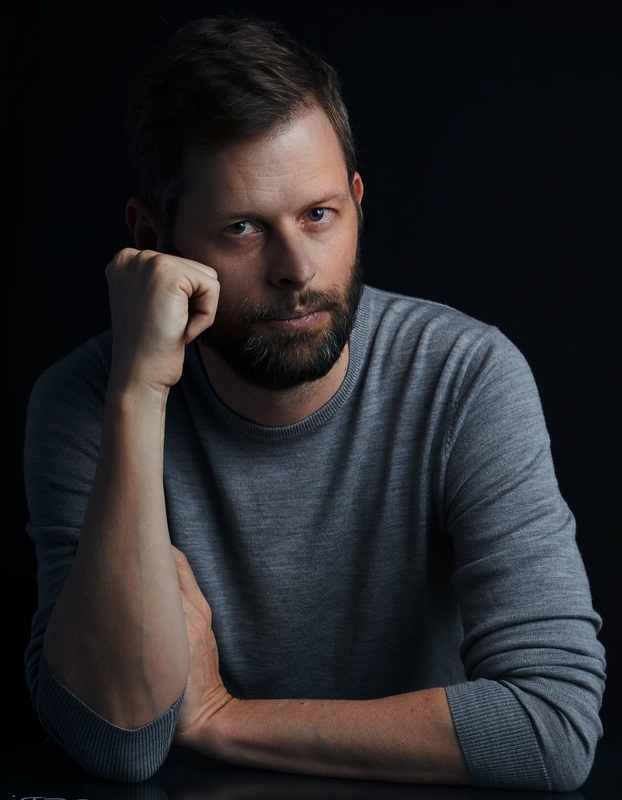 Greg Jackson won the $30,000 Bard Fiction Prize, which was established in 2001 "to encourage and support young writers of fiction, and provide them with an opportunity to work in a fertile intellectual environment," for his debut collection of short stories, Prodigals (FSG). In addition to the cash award, the winner receives an appointment as writer-in-residence for one semester at Bard College. The prize committee noted that Jackson's stories "take the reader all over the earth and across time, from a drug-addled weekend in Palm Springs to the remote provincial compound of a reclusive French tennis champion; a man drives into a hurricane with his psychiatrist, and a woman recounts a story about a summer spent painting dorm rooms in the summer of 1984 with a deranged coworker while Foucault dies and violent news from Central America hisses in the background. These stories concern troubled and deeply human characters trapped in mirrored mazes of playfully structured narrative, written in electric and often hilarious sentences. Prodigals is a book that delights, disturbs, and surprises around every corner, with the hand of a masterful author always twisting the kaleidoscope to transform dazzling patterns of light, shape, and color before our eyes." John Wray is the author of the novels The Lost Time Accidents, Lowboy, The Right Hand of Sleep and Canaan's Tongue. 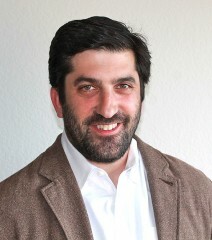 He's the recipient of a Whiting Award and a Guggenheim Fellowship. Wray lives in Mexico City. His new novel is Godsend (Farrar, Straus and Giroux, October 9, 2018). Honestly? Crazy from the Heat, the David Lee Roth autobiography. It's for research purposes, I swear. Through the Looking Glass by Lewis Carroll. I was obsessed with this book for the entirety of my childhood. Not with Alice in Wonderland, though, for some reason. I was a peculiar kid. Five authors I'm in awe of at the moment: Alice Munro, Leanne Shapton, Denis Johnson, Amos Tutuola, Shirley Hazzard. I'm reasonably sure that I faked reading every book I was assigned in school between the ages of 12 and 17. I'm not proud of this. I recently sat down and read Heart of Darkness, which I'd faked reading not once but twice. My chagrin when I realized how strange and great it is was pretty deep. I'm embarrassed even as I write this. The Festival of Earthly Delights by Matt Dojny. A hilarious, unclassifiable delight of a book, somewhere between a straightforward narrative and a graphic novel, based on the author's experiences as a very young man working and living in Southeast Asia. The protagonist manages to embarrass himself in just about every way possible. Neck-and-neck with Carry On, Jeeves by P.G. Wodehouse as the funniest novel I've ever read. Someone just showed me a jpeg of the cover for the new Marlon James novel, Black Leopard, Red Wolf. I'd definitely buy that book for its cover. The Clan of the Cave Bear by J.M. Auel. Remember that book? There are some very dirty bits in that, let me tell you, but you could check it out from the library in my hometown without anyone raising an eyebrow. Libraries are great. Pretentious as this may sound, A Portrait of the Artist as a Young Man by James Joyce--another book I faked reading as a teenager. That book has a relationship to the passage of time, both for its characters and for the reader, that I still don't understand. It's supernatural. It's just so beautiful. It made me want to write. "His soul swooned softly as he heard the snow falling faintly through the universe and faintly falling, like the descent of their last end, upon all the living and the dead." That's from another of Joyce's masterpieces, his long short story The Dead. No living writer could get away with a line like that, I don't think. But it gives me the shivers every time I read it. A first edition of For Whom the Bell Tolls by Ernest Hemingway that I found on the floor of an apartment I was looking at in Brooklyn--the apartment had been gutted, and for some reason that book was left behind. A first edition of The Wind-Up Bird Chronicle by Haruki Murakami that I bought myself when I turned 40, in the wonderful rare book room of Powell's in Portland, Ore. A copy of Shirley Hazzard's perfect novel, The Transit of Venus, that a mutual friend asked her to sign for me shortly before her death. Three crumbling Ballantine paperback volumes of The Lord of the Rings that I read so many times as a kid that they're now just a heap of brittle yellow pages in a drawer of my writing desk. That's six! Through the Looking Glass, of course. I read it every year. 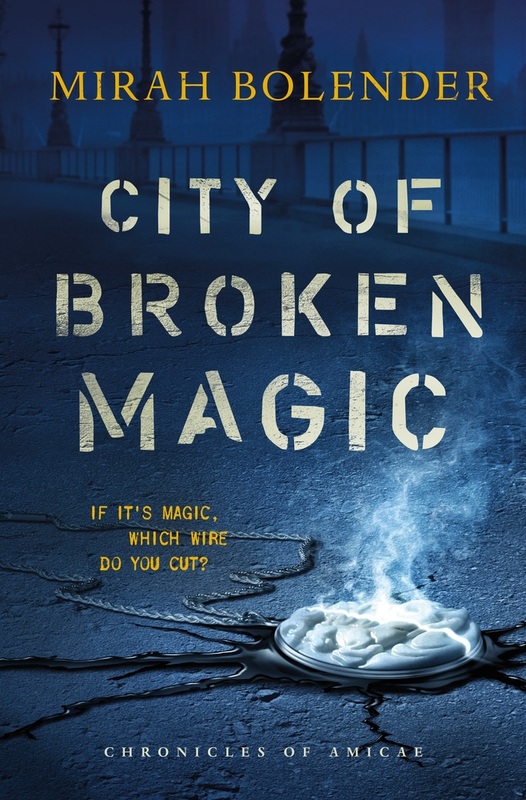 In Mirah Bolender's debut, three agents of a magical bomb squad risk their lives every day to stand between the metropolis of Amicae and its complete destruction, even though not one restaurant in the entire city serves decent lasagna. Hundreds of years ago, magic users created a semi-intelligent weapon that refused to obey its masters. 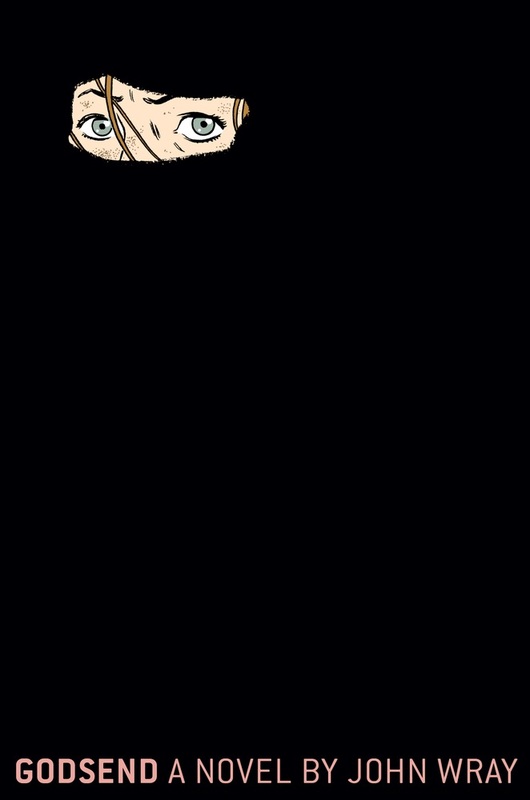 A force of pure appetite, it fed on magic, and a single infestation could quickly grow large enough to consume humans as well. To fight the failed experiment, nonmagical people called Sweepers developed a dangerous set of skills and tools for defusing the infestations, and the Sweepers of Amicae were unparalleled. In the present day, however, the city government tells the citizens the infestations can no longer enter the city, leading to a reduction in Sweepers as older agents died without replacements. Now only cynical and abrasive Clae Sinclair, last in a line of Sweepers, and his ambitious, determined apprentice Laura serve as Amicae's line of defense against the monsters. Laura, who fell in love with the idea of Sweeping after reading about it in an out-of-date history book, obtained her position by marching into Clae's office after the death of his previous apprentice and insisting he give her a chance. Now on the cusp of promotion after three months of survival, Laura lets her competitive spirit go into overdrive when Clae takes on a second apprentice, a young man and natural magus named Okane. As threats--including hostile Sweepers from a rival city, a growing military interest in weaponizing magic and ill-considered development projects--spur a rise in infections, Clae, Laura and Okane must learn to stand together as a team or lose Amicae entirely. Shelf Talker: In a magical version of the late 19th century, a crew of three ragtag, smart-mouthed agents is all that stands between the city of Amicae and total destruction by magically generated monsters.